Radiohead's relationship with Israel goes way back. Thom Yorke has said his band doesn’t appreciate being “patronized” by other musicians. This Wednesday, Radiohead performed in Israel for the first time since 2000, having played there eight times over the band’s long career. But international attitudes toward Israel have changed drastically over nearly 20 years and, up until now, Radiohead hasn’t had to defend such a concert. Since 2005, a global coalition called BDS (Boycott, Divestment and Sanctions) was formed to encourage a total cultural boycott against the country unless Palestinian rights are restored and the West Bank barrier demolished. Many celebrities, including Roger Waters, Riz Ahmed, and Brian Eno, have signed letters and petitions vowing not to work with or in Israel in alliance with the boycott, arguing such action is in the interest of fighting for human rights. An opposing coalition has since emerged—supported by J.K. Rowling, among others—that urges more, not less engagement with Israel as the best solution. 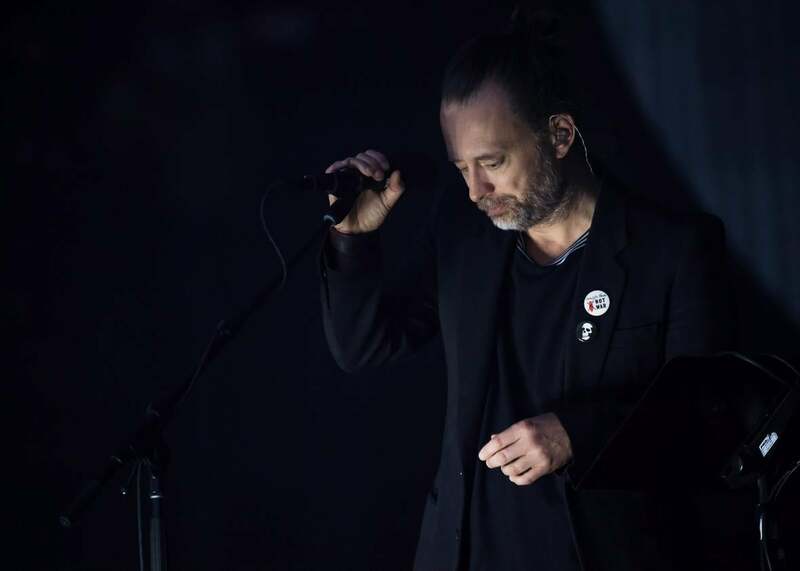 With dueling efforts to mend regional tensions in place, Radiohead have come under fire for appearing not to choose a side and go ahead with their Tel Aviv concert despite a petition signed by their peers like Waters to cut all ties with Israel and cancel the gig. Yorke eventually made two statements, one that confirmed Radiohead does not stand with the BDS movement—and also didn’t appreciate being “patronized” by other musicians for their decision—and another clarifying that that doesn’t mean Radiohead agree with the Israeli government. “We’ve played in Israel for over 20 years through a succession of governments, some more liberal than others. As we have in America. We don’t endorse Netanyahu any more than Trump, but we still play in America,” Yorke tweeted at director Ken Loach, one of the loudest critics of the band’s concert. But for Radiohead, the unpopular decision to commit to playing Israel cuts much deeper than politics: Without Israel, Radiohead might not be the band we know today. In most cases, it’d be difficult to prove that a lone country could take credit for the success of any artist. (Though just look at Carly Rae Jepsen and Japan.) But Radiohead have long been indebted, to a degree, to Israel for the country’s early support of the band when they needed it most. Their relationship began in late 1992, not long after Radiohead had released their debut album, and smack in the middle of the long waiting game that all new artists must play for their debut single to take off. When most think of “Creep” today, phrases like “alt-rock standard” and “classic” usually follow; but over two decades ago, “Creep” didn’t have that immediate luster. It was too gloomy to be a radio hit in U.K., and barely cracked the Top 40 in America (though it still remains the band’s biggest single here). The future success of “Creep” came down to a ripple effect that originated in Israel, when a radio DJ named Yoav Kutner began playing “Creep” on repeat, sometimes three times an hour, on Israeli army station Galei Tzahal after receiving a copy from the label. Word of mouth took off there and, soon, Radiohead’s former label EMI noticed enough to restore some confidence in the band and gave them a chance to play three small club shows in Tel Aviv, plus a TV spot, in March and April 1993. Radiohead were swarmed by Israeli audiences; rumor has it some fans even tried to rip out Yorke’s hair. The band became an overnight success where they least expected it, and Israelis marveled at the fact that a British band would travel there to acknowledge the reception. “This was like, ‘Oh my God we’re so international, there’s a band and it’s singing in English, we are the best people in the world,’” one concertgoer recalled earlier this year. Even then, Yorke referenced the Israeli-Palestinian conflict, reportedly dedicating “Stop Whispering” to “peace in Israel.” However, the pandemonium they experienced abroad in Israel didn’t translate back home: “It was like Cinderella, you know? The clock reaches midnight and they’re back to being anonymous,” former EMI Israel head Uzi Preuss remembers. But as the song continued to blow up in Israel, American radio soon caught on, especially on the West Coast. It spread further internationally, and eventually EMI extended Radiohead’s tour and rereleased “Creep” in 1993, and it hit the Top 10 in the U.K.
With over two decades removed from when Israel first fell in love with Radiohead, it might seem strange for the band to still act beholden to the country. But again, there’s more to the story: As Yorke referenced in his first statement on the controversy, Jonny Greenwood is married to Israeli-born artist Sharona Katan. “All these people to stand there at a distance throwing stuff at us, waving flags, saying, ‘You don’t know anything about it!’ Imagine how offensive that is for Jonny,” Yorke wrote. Radiohead also have professional ties to Israel—their two current tour openers, Shye Ben Tzur (who Greenwood has collaborated with) and Dudu Tassa and the Kuwaitis are both Israeli acts. Israel and Radiohead’s mutual appreciation goes well beyond their latest Tel Aviv concert, though this concert is expected to be symbolic: “As far as many Israelis are concerned, Radiohead are an Israeli product,” Ruth Perl Baharir writes for Haaretz. Whether Radiohead will give a now-rare performance of “Creep” on Wednesday for the band’s Israeli fans is the real question—not whether they’ll play at all.